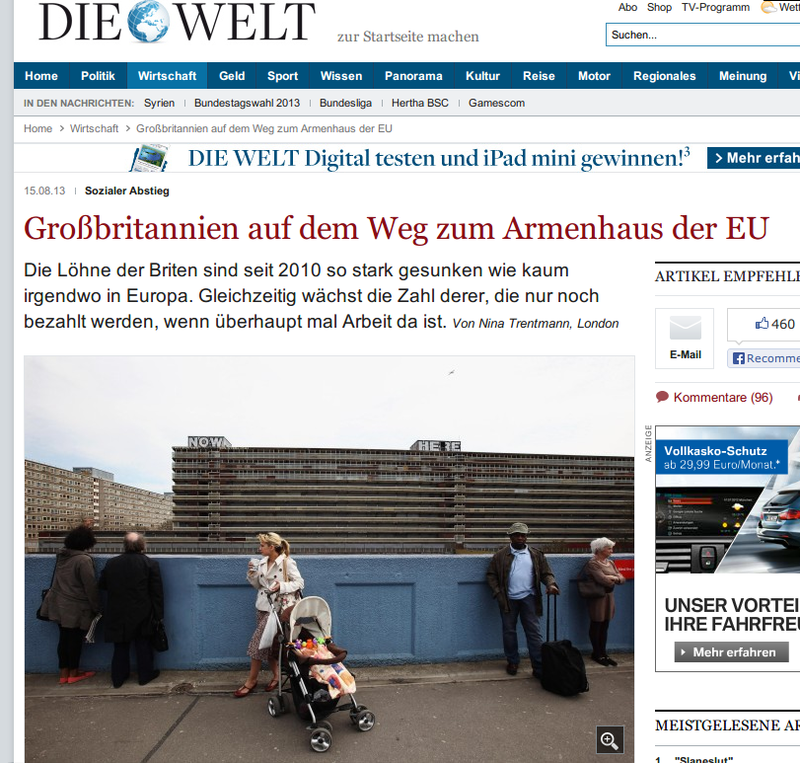 Last week German national newspaper Die Welt featured this picture of the Heygate as a symbol of Britain’s social decline and the “Krieg der Reichen gegen die Armen” - the rich’s war against the poor. 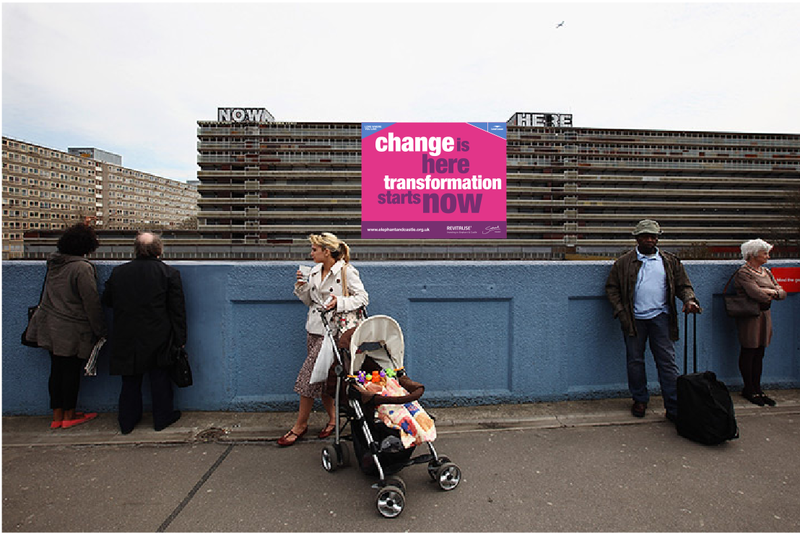 By coincidence Lend Lease have just submitted a planning application featuring the same image but with a more promising message: change and transformation - Here and Now. Lend Lease were no doubt inspired by the prominent piece of graffiti either side of the banner, and it must also know that in Latin Here and Now means ‘hic et nunc’ - the immediate satisfaction of desire according to Wikipedia. Lend Lease’s desire for profit is being satisfied pretty immediately: it expects to draw its first profit from the E&C development in 2016, while the Heygate development as a whole is not due to be completed until 2025. Globally it reported a profit of £320m ($553 AUD) in its annual report last week. Chatelaine House on the Walworth road is yet another proposed development in the Elephant & Castle opportunity area that doesn’t fulfill affordable housing requirements. The planning application is for 54 homes plus 5,000m2 of shops, offices and restaurants. There will be only 14 ‘affordable’ units - 10 social rented and 4 intermediate, equating to around 25% of the total number of new homes. The target date for the planning decision was the end of this month. There is no officer’s report yet on the application, so it is not clear whether the social rented units will be at council rent levels or the new so-called ‘affordable’ rents of up to 80% market. The viability assessment for the Chatelaine House development was prepared by ‘Upside London’, a consultancy formed just a year ago with the motto ‘Making Development Viable’. The company doesn’t have a website yet, so we can’t see whether it features images of developers wheeling away barrows laden with cash. Upside London was joined by dozens of other property developers, estate agents and public sector representatives at a recent conference on achieving viable developments in London. Looking at its title “Very taxing: Is viability vanishing as charges and levies hit London development?” it would seem that all participants think that London is very lucky to be getting any affordable housing at all. 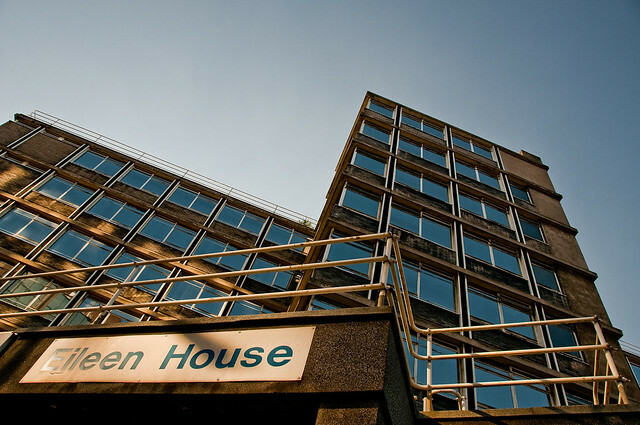 The latest in the never-ending round of consultation about Eileen House ended yesterday. The original application was made in Feb 2009 and was rejected for having no social rented housing and not enough shared-ownership housing. The updated application is worse: it still has no social rented housing, it has reduced the shared-ownership units by 15 units to 65, and has increased the private units by the same number from 255 to 270.